CaseTalk version 9.4.1 contains a file format upgrade to provide additional identifiers to the model to detect fact type renames. 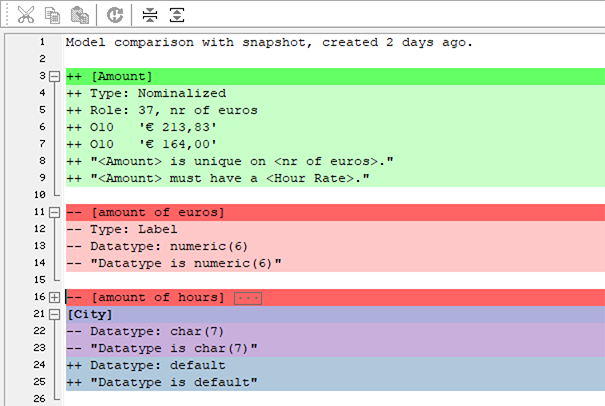 Additionally the merge functionality has been upgraded to support better namespace management across models. 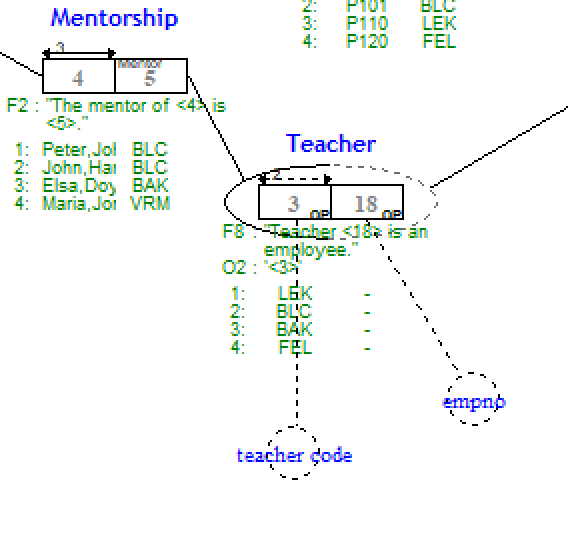 Optional roles can be made more distinct in diagrams, and many other usability features and bug fixes. In total 37 tickets have been resolved. The new CaseTalk 9.3.2 fixes some crucial high prioriy issues, and adds an improved snapshot comparison user interface. The collapse and expand function make the difference report more consise, and this is also implemented in the text editor for expressions. The changelog is here. Additionally a high priority issue was fixed in 9.3.3. 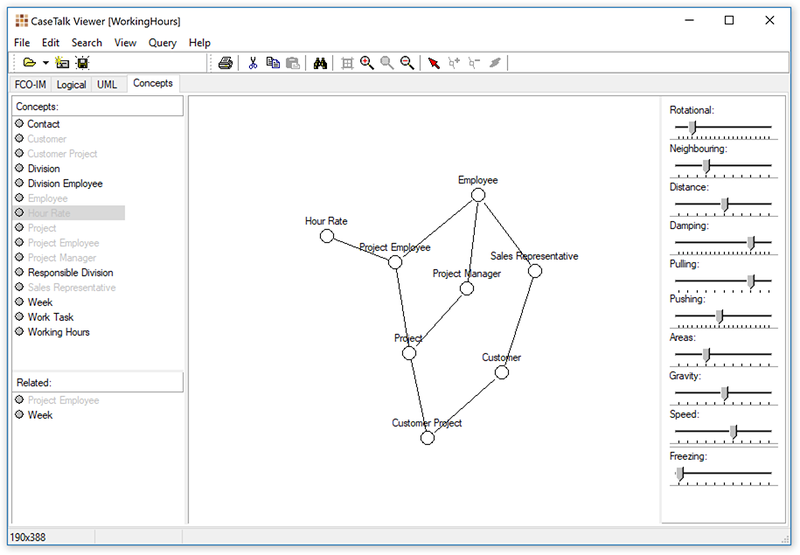 The new CaseTalk 9.2 adds a brand new JSON Schema Generator and some improvements. 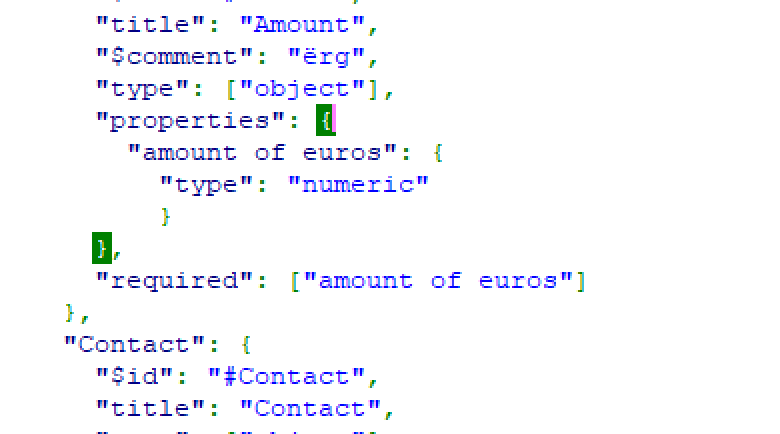 The JSON Schema Generator is not to be confused the the already exported JSON Table Schema. The latter contains a description similar to a relational model, whereas the former contains regular object definitions like UML Classes. Please get your free update from our download section.